We’d like to introduce you to our Sustainability IRC Members..
Myoora Transformations helps organisations identify opportunities to improve business processes and reduce operating costs, with a focus on the supply chain. It also designs and delivers accredited and customised training in Transport & Logistics, Project Management, Competitive Systems & Practices, Management and Leadership. 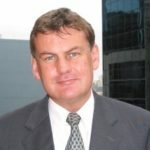 Peter has previously held numerous senior management roles with companies such as Linfox, CEVA Logistics and Coles companies across Asia Pacific. AMGC is an industry-led, federally-funded initiative with the goal of unlocking new commercial opportunities and driving innovation in Australian manufacturing. 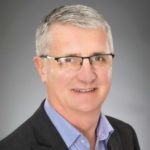 Michael brings extensive industry experience having been the CEO of Sutton Tools for almost two decades and has had long involvement with skills and training including as a Director of Manufacturing Skills Australia. 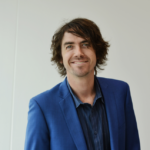 Bradley is the Program Manager at the OEH, responsible for implementing energy efficiency programs for NSW businesses. He has over 10 years’ experience in senior roles in the energy and sustainability sector which provides a strong background to provide advice from industry’s perspective. He has also been a member of the Federal Government’s Energy Efficiency Advisory Group. Tricia Caswell is the Director of Tricia Caswell + Associates: Sustainability Leadership and Strategy. 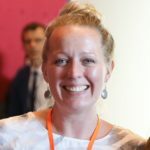 She is an internationally recognised sustainability leader with nearly 20 years’ experience, including advisory experience in mining, forestry, education and water industries, and as a leading Australian advocate on sustainability issues including: climate change, water, biodiversity, education and planning. Full Circle Fibres creates entirely traceable fabrics and yarns – every stage from fibre through yarn and to fabric has been completed locally with integrity, sustainability and quality. 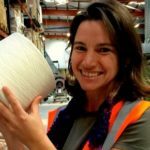 Using her decades of industry experience Meriel is a passionate advocate for closed loop, responsible production, connecting the links from grower to user, respecting the source and the stages along the way as gently and carefully as possible. 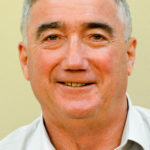 Ian has national responsibility for managing the AMWU’s policy development and its engagement with the national training system and the structures that underpin it. 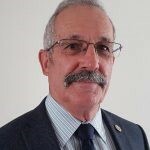 Ian has a long history of activism within the training system and has served on a number of ministerial inquiries as well as many state and national regulatory and advisory bodies. He is a member of six Training Package IRCs. Makoto Asia Pacific focuses on the deployment of Lean business principles and practices across a wide range of industries. They transform businesses through a growth strategy, rather than just cost-cutting. Daniel has over 20 years’ experience in process improvement and implementing lean manufacturing across mining, heavy industry and manufacturing industries. 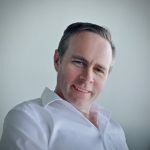 Mark has over thirty years with the Australian Industry Group and has a deep understanding of the business landscape given his extensive and lengthy experience helping businesses overcome challenges and maximise growth opportunities. His strengths include stakeholder engagement, government relations, workforce development and business transformation. Leighton O’Brien is a leading software and field technologies (tank and line testing; fuel polishing and tank cleaning) company operating in 19 countries through 57 distributors. Their technologies enable customers to achieve the tightest storage systems, lowest fuel losses and most accurate wetstock management. Customers benefit from optimal pump speed, more precise re-strapping of gauges, the highest compliance and cleanest fuel. Karla works with stakeholders locally and internationally to develop and deliver the Council’s training, accreditation and professional development programs, including the Energy Efficiency Certification Scheme and the Certified Measurement & Verification Professional program. The Business Council for Sustainable Development Australia is the national peak body representing forward-thinking companies and organisations from all sectors and industries who are working towards the transition to a sustainable Australia. 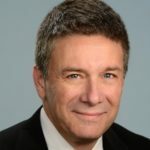 ​For more than 20 years Andrew has worked with private and public organisations to find business solutions through collaborative action by strategically valuing, managing and reporting their performance on environmental, social and governance risks, and creating success from the opportunities this presents.